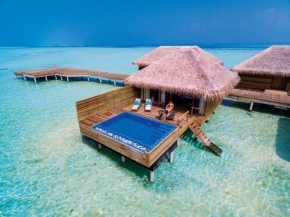 Anantara Veli Maldives Resort & Spa is nestled amongst beautifully scattered islands, Anantara Veli Resort & Spa Maldives is a comfortably chic resort in a completely tranquil tropical setting, with an abundance of amenities. 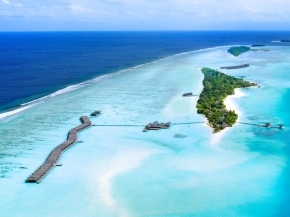 Our Maldives island resort is located on the rim of a tranquil turquoise lagoon, around which sits two other resorts providing an array of dining options. Travel to the Maldives is simple with regular scheduled flights from around the world landing in Malé International Airport daily. Once you touch down, Anantara Veli Maldives beach resort’s speedboat service will bring you to the resort in a quick 35 minute boat ride.